The annual Evergreen Meadows Homeowners Association (EMHA) 2018 Christmas lights’ judging will take place on Thursday December 20, 2018. The results will be completed and announced by Saturday December 22, 2018 . Sign-up if you are interested in participating, and if you want to ensure that the Christmas Light Contest judges find you. 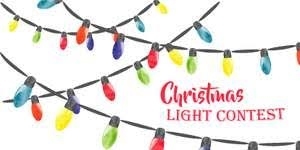 The sign-up site is located at - EMHA Christmas Lights Contest Sign-up . Signing up is optional but guarantees that the judges will make sure to visit your home. This is particularly useful for those that live off the road. Only dues paying resident are eligible to win the first-place prize. The EMHA will pay the winner's 2019 $50 membership dues. A list of the top properties will be published so that homeowners can visit their sites. Please let us know if anyone has any questions or if you'd like to participate as a judge. Contact the EMHA events coordinator - Holly Worley - at findahomewithholly@gmail.com .